I’m actually really surprised that this hasn’t happened already but supposedly the sale of digital music will beat out physical (ie CD’s and such) by 2012. This is bad for the second generation music industry, as in the distributors. Music shops will shrink and disc manufacturers will lay off thousands. It’s unfortunate to because the quality of the CD is so much better than your average MP3…or any MP3 for that matter. iTunes would have you believe otherwise tho, and has been the most successful in removing physical media from the scene. I dare say that legal downloads hurt the CD empire more that illegal ones…at least with pirated stuff I would still go buy a good CD for the superb quality to listen to on long rides, but with the legal ones well…I certainly wont buy something twice. 31 Mar	This entry was written by CatastroFUCK and published on March 31, 2011 at 4:15 PM. 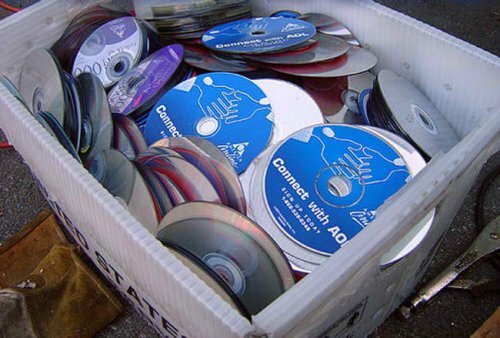 It’s filed under Tech, WTF and tagged CDs, its on its way out, iTunes, kill the SFX guy, layoffs a'comin, MP3, music to my ears, notes carried on the wind, pirates. Bookmark the permalink. Follow any comments here with the RSS feed for this post.